120 Mins. Filmed in 720 HD. Available in standard definition only. Filmed in BC and Oregon, “Steelheading Outside The Box” is the most insightful, technique focused steelhead film in over a 25 years. 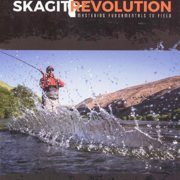 There are no indicators or dead drifted nymphs in this film, just deeply sunk swinging flies, jacked by Skagit Flight and Skagit Short shooting heads, wicked looking custom Intruders and water spitting popping bugs chugging behind the latest high tech Scandi heads. It’s steelheading Scott’s way. Whether he’s dropping a cone head Prom Dress through 10 feet of cold winter flow to a short piece of holding water or popping a foam lipped Ska-opper over a roily boulder patch, Scott knows where fish live and how to make them to respond. Few “How To” films deliver the goods. From the intimate coastal streams of Northern BC to his home waters in Oregon, Scott Howell goes fishing and shares the techniques he developed throughout is career and lands over a dozen wild steelhead in the process. Scott’s philosophy is, “If that steelhead intended to eat your fly, it would have”. You shouldn’t worry about the ones that got away or the short strikes, dull pulls and plucks. Enjoy and respect them all. But cherish the ones you get to touch. 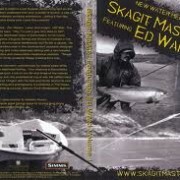 Skagit Master 2 Featuring Scott Howell is the perfect companion to Skagit Master Volume 1 Featuring Ed Ward. 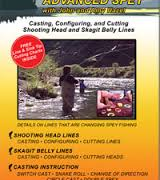 Step by step grass casting sequences demonstrating the various Skagit Poke casts, Skagit Double and C-Spey. 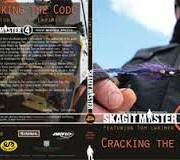 Real world application of Skagit Casting in actual fishing situations. Ed Ward tying an Intruder with Co-designer, Jerry French. Skagit Casting with Switch rods for trout and other species. 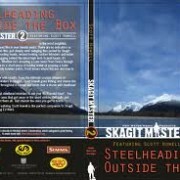 Special guest appearance by steelhead guides Scott Howell, Mike McCune, Scott O’Donnell and Jeff Hickman. The most comprehensive film on spey casting techniques ever made. This triple disc DVD from RIO stars a notable team of experts: George Cook, Simon Gawesworth, Mike McCune, Scott O’Donnell, Dana Sturn and Ed Ward. Learn from these masters the classic Single Spey, Double Spey, Switch cast and Roll cast, and also the modern spey casts such as the Snake Roll, Circle Spey, Snap T, Snap Z, Wombat cast, Underhand cast, Spiral Spey, Spiral Double Spey, Jelly Roll, Perry Poke and Skagit casting. 3-Disc, 240 minutes. JOHN & AMY HAZEL are as accomplished a Spey Fishing couple as you will find. They guide and instruct on a daily basis out of their Fly Shop and Guide Service in Maupin, Oregon on the Deschutes River. John is a pioneer of Spey Fishing in the Northwest and has introduced hundreds to the sport. 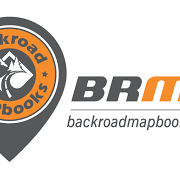 Together they are a great team that delivers concise and detailed instruction you can take to the water. This 2-DVD set follows Lani Waller through 25 years of chasing wild steelhead on some of the best fishing rivers in the world. 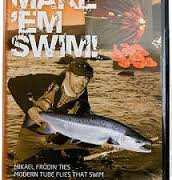 The first DVD is comprised of Lani’s video series from early 1980’s– the all time bestseller for steelhead for 20+ years. 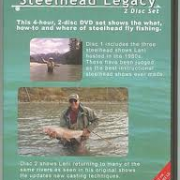 In the second DVD Lani revisits waters highlighting all the major changes in steelhead fishing during the last two decades. Lani updates casting techniques, equipment, and strategies that, in years past, were not even imagined. 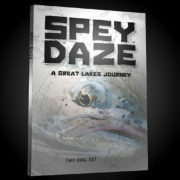 Includes maps and advice on where, when, and how to fish the Great Lakes region. 4 hrs. Henrik Mortensen is back at the world’s finest sea trout river – Rio Grande in Patagonia in southern Argentina in his 6th DVD, a dream come true for any angler! But this time Rio Grande is a genuine nightmare: A swelling, brown river with temperatures several degrees below normal/standards. To most fly fishers that would mean a completely ruined trip, but not to Henrik. Henrik Mortensen #5 The Scandinavian Spey cast 2In this volume of the Fly Fishing Academy Henrik Mortensen expands on the intriguing Scandinavian casting and fishing style he first presented in volume four. In addition to the overall fishing strategy message, the two foci of the film are efficiently and effectively employing the lift in the cast and the art of dry fly fishing. Henrik demonstrates and explains how important the lift is for the cast, and how by doing an alternative cast, which Henrik dubs the Triple C, one can change the lift and direction of the cast. With this demonstration and detailed explanation it is easy to see how important casting techniques are and how they benefit catching results. To add to the intrigue, Henrik employs the use of the highly practical switch rods, which are becoming more and more popular. We are patiently awaiting the arrival of the latest Mortensen DVD – “Patterns of Patagonia”. 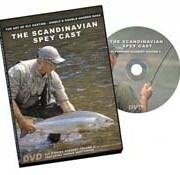 Henrik Mortensen #4 The Scandinavian Spey cast 1In this volume, Henrik Mortensen focuses on what he terms “the Scandinavian Spey Cast.” To lend perspective, he visits the famous River Dee in Scotland to analyze the historical roots of the traditional Spey cast with a classic Scottish ghillie. He then travels to Canada’s beautiful Gaspé Peninsula in Eastern Quebec to illustrate his modern, redefined version with practical implementation on three of the most challenging salmon rivers in the world: Grande Cascapedia, Bonaventure, and Petite Cascapedia. Under sub-optimal conditions of the early season, low water, few fish and very clear rivers, the benefits of the Scandinavian Spey Cast become apparent. 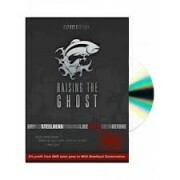 “Raising the Ghost” chronicles 7 epic days of fly fishing in a remote region of British Columbia’s Skeena River System. The Fly Boys team is attempting to catch Steelhead eating dead-drift dry flies. Action and conservation, displaying some thrilling dry fly fishing for steelhead (with dead drifted green drakes! ), but also airing the concern that many anglers have for this magnificent fish. Chaotic trip and video, but certainly entertaining. 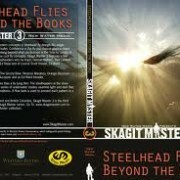 Metalhead – The last in the series from AEGMetalhead chronicles the epic journey of five fish bums and their friends as they travel to remote Northwestern wilderness in search of legendary steelhead; the hottest freshwater fish you can catch on a fly rod and also a fish whose survival hangs in the balance. Filmed as an adventure documentary, the fish bums face the challenges of mother-nature, border police and Giardia. This untamed and majestic land offers the best opportunity for an angler to hook into a wild trophy steelhead. If you are lucky enough to land one these incredible fish, you will be forever changed. Follow the dedication, obsession and insanity that drive steelheaders to pursue a fish that is not in the river to feed, a fish known as Metalhead. Just Fishing Magazine – FREE! Rio Gallegos in Patagonia offers some of the world’s best sea trout fishing. Using Las Buitreras Fishing Lodge as our base, we set off for an exciting adventure along the river. We struggle to get our flies out in the wind, which sometimes reaches speeds of 100 km an hour. And when the trout takes, it feels as if time is standing still, and even the wind ceases to exist. Leap after leap, high up into the air – the fight never seems to end. The powerful silver fighter never gives up, leaving you with memories for life. The flora and fauna in this arid landscape are very interesting. Along the river we experience the richness of its birdlife, as well as the curiosity of lots of other unusual animals. We visit the majestic Perito Moreno glacier and get to know the charming Magellan penguins on the Straits of Magellan. In the bonus material you’ll see, among other things, Claudio tying his favourite fly, get tips about fishing equipment and learn more about what Las Buitreras has to offer. Join us in our adventure to Argentina, and meet Patagonia’s silver! In this new film about tube-based flies you can follow Mikael Frodin as he ties some exciting designs. You’ll get tips and tricks for everything from the simplest swimming micro-tube to innovative Skaters and Hitch flies. This is a two show DVD set. World famous for the best rainbow trout fishing on the planet, this remote desert lake teems with rainbow trout up to 40 lbs. It is one of the most remote places on earth, and the only way to get there is to drive a 4X4 on the road from hell to get to this lake from heaven. With the second volume in Henrik Mortensen’s Fly Fishing Academy, we present you with his fundamental approach to fly fishing, which is based upon total control of the fly. In order to demonstrate various techniques, he chose one of the most prestigious and challenging locations in the world to fish for sea trout, the famed Rio Grande of Tierra del Fuego in the southernmost part of Argentina. Tierra del Fuego, which was once thought to be a myth at the end of the world, holds every worldrecord for sea trout caught on a fly rod. 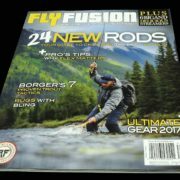 And even though the Rio Grande calls for serious distancecasting in many places and forces anglers to deal with strong winds from the Andes Mountains, Henrik still pursues and demonstrates the ultimate control of the fly. Using both single and doublehanded rods, Henrik will teach you how to take advantage of the wind – and cast and fish with confidence in spite of it. 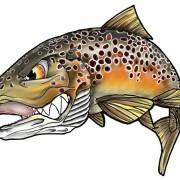 The general strategy used for the huge sea trout is small flies fished on long leaders, but he also covers sink line tactics and fishing throughout the darker hours with larger flies. Detailed directions are given on underhand casting with floating and heavy sinking lines. Particular consideration is also given on the ability to angle the line without disturbing the water. Even if you are not planning a trip to Tierra del Fuego, this film is still worth seeing as the strategies and techniques Henrik teaches in it can be applied everywhere you go in pursuit of the big catch. Shot and edited in stunning High Definition. 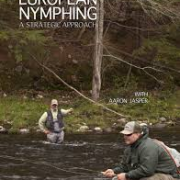 European Nymphing Techniques and Fly Tying with Aaron Jasper is an instructional video that is the culmination of over three years of research, practical testing, and instruction both on the stream and in the classroom. Full of tips and techniques that you can’t find anywhere else. “Some years ago during a World International Fly Fishing event, the Polish team won the event by fishing a technique that was known to few others. In subsequent years both the French and the Czech teams have further won these major world class events with what most now understand as European fly fishing techniques: basically close range fishing with a team of flies representing invertebrate aquatic forms of life found close to the stream bed. For many these techniques have been a mystery and hardly understood. The written word will only go so far as to create interest and some basic knowledge. 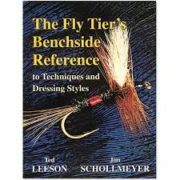 The practical aspects of these techniques require an on-stream scenario and visual explanation for a fundamental understanding from which the fly fisher can further his skills. This DVD has done just that. This video explains everything from the basic level of understanding how the systems work, to the importance of the rig, understanding the concepts of stream drift versus fly control, and advanced techniques: its all here. Aaron has done a fine job, and in my opinion has produced the Bible for those of you who wish to master the techniques of Polish, Czech, French and Spanish style nymphing. .”Chapters Include: -Czech/Polish style- introduction, casting and leading the flies. -French/ Spanish style- introduction, the sighter, casting, hand twist retrieve, leading the flies, high and low rod angles, upstream, up and across. -Leader setups and knot tying. -Fly tying- anchor flies: Dronestone, Polish Woven/ dropper flies: Triple Threat, Blue Winged Olive. Total Running Time: 2 Hrs. NTSC 16:9 Anamorphic Widescreen. If you ever wanted to know about this Czech nymphing style of fishing, which has been talked about so much (OK, let’s say hyped) the last 20 years or so, this is a very good place to start. Swedish Johan Klingberg and photographer/producer Jussi Sjölund have done a very good job of conveying both the fascination and the technique of this much debated fishing method. I write much debated not because there’s a conflict, but because the method is much talked about, and most people who have heard of it, seen it practiced or tried it themselves seem to have an opinion. I have often turned to the short cast Czech style when appropriate, and even though I’m nowhere near being proficient, I must admit that it’s a very efficient method, and I can only encourage you to try it when the water is suitable – which this video shows that most running water is. 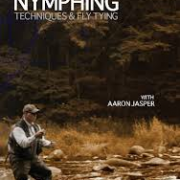 Now, I’m not an avid fan of competing in fly fishing, but I have to respect the fact that the Czech nymph method has been adapted by most of the teams and has proven its worth many times. There might be waters and conditions where this is not the best method, but in any densely populated water where you can get within close range of the fish without spooking them, this is bound to be efficient. The video demonstrates this by showing anglers literally hauling in fish. Many small ones, admitted, but some of the fish caught are more than decent, especially once the scene moves from eastern Europe to Sweden where the target is rainbows. Johan utters an occasional “uh” and “ah” as he gets into bigger fish and the pressure on the light gear increases. This video earns a Global Class rating in a very quiet and modest way – Scandinavian way so to say. It doesn’t have hectic hand held scenes or fast paced rock music, but it has a well defined scope, a consistent style and a lot of educating content. 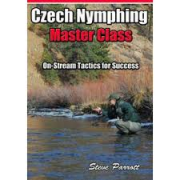 Once you have watched it you will be much wiser on the efficient art of nymphing the Czech way, and whether you’re watching it in mid winter with frozen water all around like I am or in the peak of the season with easy access to water you will immediately want to go fishing. Learn to Fish the European Methods like a Pro! 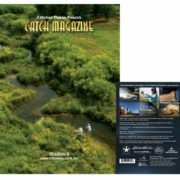 Reading and managing the water – how the currents are flowing and how to adjust fishing technique to take full advantage of conditions.